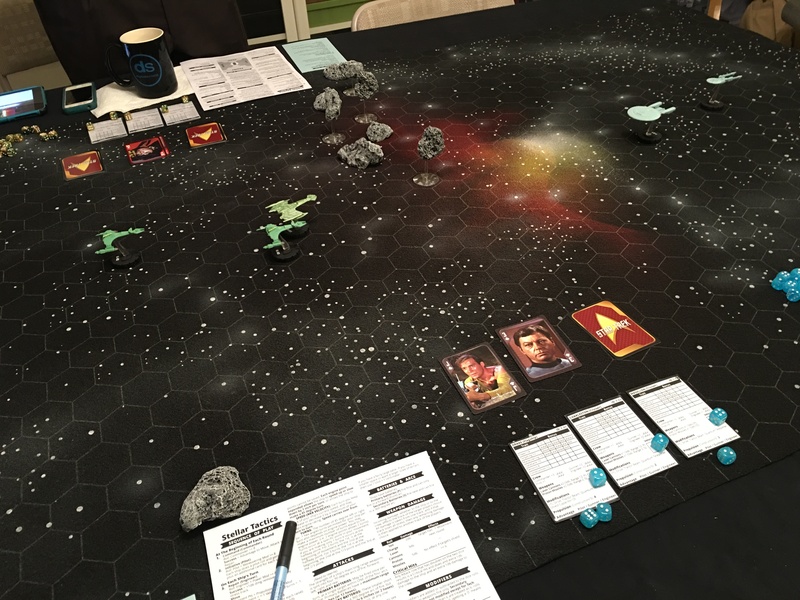 Our Gaslight Heroes game didn’t have quorum last week so we moved gaming to Wednesday and ran a Stellar Tactics beta test. Biggest change we identified were 1) using standard rather than vector movement, and 2) using scenarios to break up the endless wait-and-see tactics players might otherwise employ. I’ve got about 15 changes we identified for the rules. 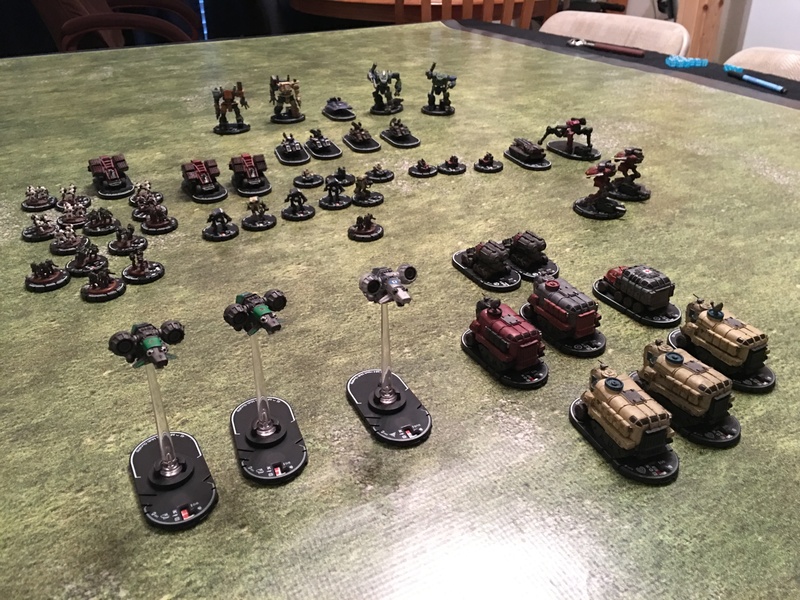 In an upcoming version I’ll also have specs for soldiers and vehicles so we could use these rules for any modern or futuristic miniatures wargaming. Upcoming games will support soldiers and vehicles such as hovertanks and drones. I really enjoyed the game, and think you are producing a great supplement. I enjoyed the second scenario better than the first, because I lost the first one but one the second one. I was thinking about the mechanics a little more, and I think long range guns should stay at 19 spaces, but short range guns go up to 5 spaces. I would reduce the damage from lasers to 2d6, and short range guns would be 1d6. That would reduce damage, and make combat less one sided, but would prolong combat. My thoughts.